The precious freshwater resources we travel like freeways and treat like toilets that are in a perilous annual down trend of evaporation RIGHT NOW. within decades, the very ability of most life, let alone organized civilization, to survive. Watch the videos in the playlist above for an overview. Further info in the resources below. 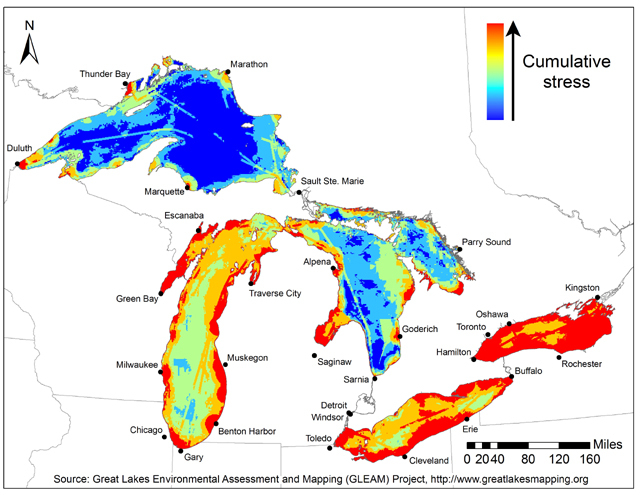 13 operational, but aging / dysfunctional water and waste-intensive nuclear power plants with a total of 33 reactors are located in the Great Lakes Basin: 3 sites in Canada with a total of 20 reactors (Bruce A & B / 8 reactors on Lake Huron, and on Lake Ontario, Pickering A & B / 8 reactors, Darlington / 4 reactors); and 10 sites in the U.S. with a total of 13 reactors (FitzPatrick, Nine Mile 1 & 2, Ginna on Lake Ontario, Perry, Davis-Besse, Fermi Unit 2 on Lake Erie, and Palisades, Cook Units 1 & 2, Point Beach 1 & 2, Kewaunee on Lake Michigan). There are also plans for a dump site to burn nuclear waste near the shore of lake Huron. Global heating and climate disruption has already forced Arctic sea ice into a new state of ‘death spiral’ meltdown and it is anticipated to disappear in Summer months within a few short years (maybe as soon as 2013), many decades ahead of previous estimates. The air conditioner of the northern hemisphere and a major global weather regulator, it has lost 80% of its volume, almost 50% of its long-term (1979 – 2000) average extent since 1979 (watch video) and rendered the jet stream much slower, wavier, weaker (watch video) / prone to cause more extreme / prolonged weather events (storms, floods, droughts, wildfires). The Arctic hasn’t been ice-free for somewhere between 1,450 and 4,000 years, and before that, for about 120,000 years. In 2012, scientists were stunned to discover that melt was detected for the first time over 97% of the surface of Greenland, and that its rate of melt was five times what it was in the mid-1990s. Ice loss in Antarctica is up by 50% over the last decade, and the rate of West Antarctica thaw is at three times the global average, which threatens its destabilization. 2012 was also the warmest year ever recorded in the U.S., which caused the most expansive and sustained drought since the 1950s/1930s over more than 60% of the lower-48 states. Even now, in 2013, there appears to be no end in sight. 2.8 billion people have been affected by either physical (1.2 billion) or economic (1.6 billion) fresh water scarcity. But with recent record droughts in Russia (2003, 2010), the Amazon (2005, 2010), East Africa (2011), Australia (from 1995 through 2012), the current dwindle of water supply in the Middle East and elsewhere, and the reality that, by 2030, China (1.3 billion+) and India (1.2 billion+) won’t have the water their massive populations will need to subsist, we are faced with not less than a planet-wide EMERGENCY — RIGHT NOW. Over the next few years and decades, impacts will compound into a confluence of global crises that include threats to food / agriculture production, the security / stability of nations, resource wars, mass migration, disease proliferation and mass starvation, to name a few. For many, they already have. 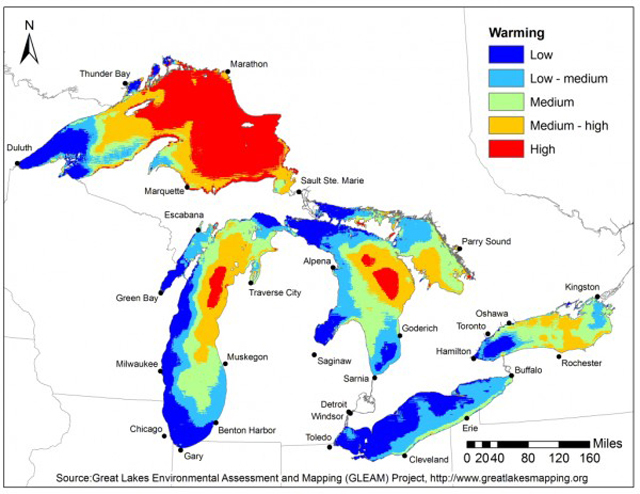 The dire condition of the Great Lakes is just one in a multitude of symptoms presented by the biosphere’s much greater, human-caused root illness. Watch the videos in the playlist above. Further info in the resources below.